We already took a close look at the video game throwback project known as Summer Camp. The survival horror field is getting healthier and healthier with independent projects and even some AAA-developed franchise entries. PC gamers should keep their eyes focused on a Kickstarter-funded horror game that features 5 vs. 1 gameplay – Last Year. Last Year puts you next to four other allies as you contend with a murderous maniac that’s also controlled by another human player. Their name? Simple – THE KILLER! As for the characters you and your online friends will be using, they’ll come in the form of stereotypical high schoolers. The environments featured in this currently-in-production project harkens back to classic horror film locations, such as East Side High and Camp Silver Lake. 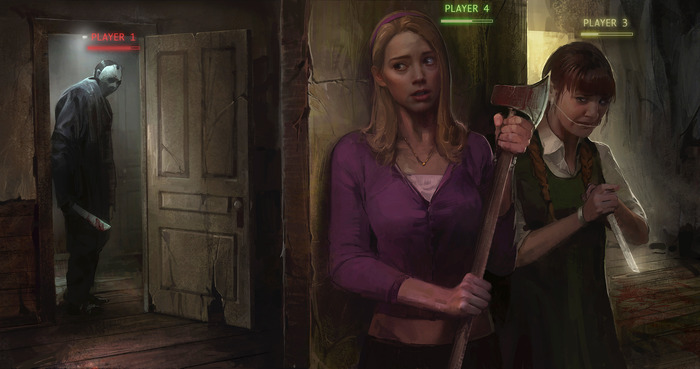 The Killer has to reach the win goal by killing all five characters, while the 5 co-op players have to escape by driving away in a truck. Of course, it won’t be that easy since you have to finish off a bunch of goals before you safely drive away. Amber – Scout: Can spot the Killer and display his position on the map for other players to see. Can also spot supplies on the map easier than the rest including flashlights and weapons. Weak against attacks from the Killer. 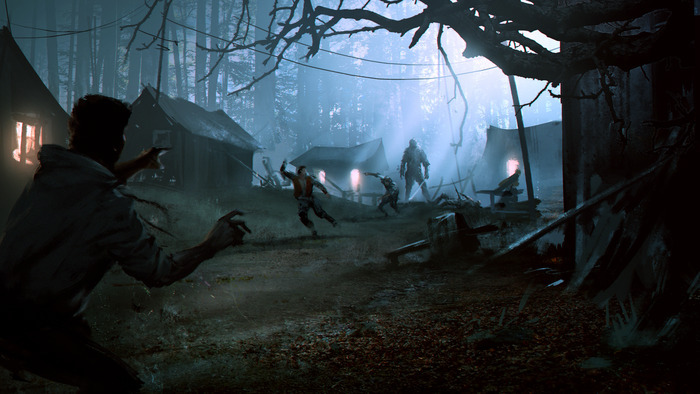 Chad – Assault: Offers protection to the other players and can melee attack/stun the Killer, giving the other survivors a chance to escape. Strong to withstand attacks from the Killer. Nick – Technician: Fixes phone lines, generators, picks locks, hot wires vehicles, and anything else that needs to be repaired. He has a pet rat named Rasmus that you can play as. As Rasmus you can travel through small passages to unlock doors from the other side and provide spy-cam style intel on where the Killer is. Very weak against attacks from the Killer. Sam – Medic: Heals wounded players to full health. Troy – Support: Also offers protection and can also place traps for the killer which deals damage and slows him down. Can melee attack/stun the Killer same way as Chad. This game sounds pretty enticing and we’re getting some heavy Left 4 Dead vibes from it. If you’re looking to aid the developer (James Matthew Wearing), hit up the Kickstarter link below and offer up some support.